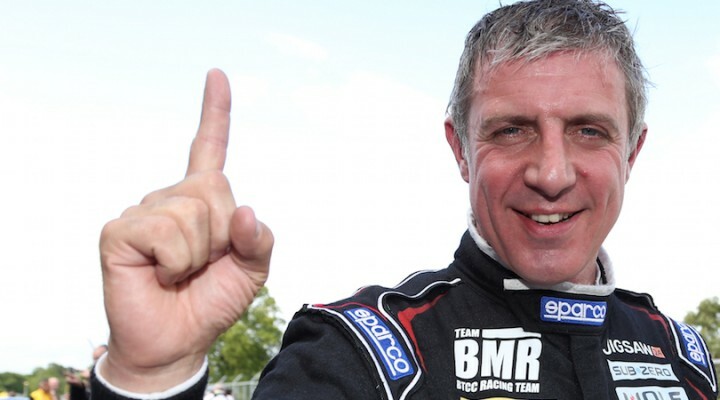 Jason Plato will join the line-up for the 2015 Race Of Champions at London’s former Olympic Stadium on November 20/21, becoming the first driver confirmed for Team England. Plato has won more races than anyone else in the history of the British Touring Car Championship, with a total win count that is approaching a century. He has finished in the title race top three no less than 12 times, coming out on top in 2001 and 2010. He is again heavily involved in the 2015 BTCC title fight with just two race meetings remaining – starting this weekend at Silverstone. Plato has made two previous ROC appearances; on his last visit in 2010 he reached the ROC Nations Cup final alongside fellow tin-top legend Andy Priaulx, only to fall to the might of Team Germany’s Sebastian Vettel and Michael Schumacher. Now he’ll be hoping the home support in London could help take Team England all the way. Plato said: “I’ve always enjoyed my visits to the Race Of Champions and there’s no greater incentive than to look at the drivers who assemble there every year. They are the very best in the world and it’s a privilege to race against them on the same track in identical cars. The Race Of Champions itself is an annual end-of-season contest, which has been held for over 25 years. It brings together some of the world’s greatest drivers from motor sport’s major disciplines – including Formula 1, World Rally, Le Mans, MotoGP and the X-Games – and sets them free to battle head-to-head in identical machinery. Along with Plato and Coulthard, other drivers in action at ROC 2015 include F1 stars Sebastian Vettel, Daniel Ricciardo, Felipe Massa and Nico Hülkenberg, Le Mans 24 Hours legend Tom Kristensen, reigning FIA Formula E Champion Nelson Piquet Jr, reigning FIA World Rallycross Champion Petter Solberg plus MotoGP world champions Mick Doohan and Jorge Lorenzo. In recent years ROC has visited the Stade de France in Paris (2004-2006), London’s Wembley Stadium (2007-2008), the ‘Bird’s Nest’ Olympic Stadium in Beijing (2009), Düsseldorf’s Esprit Arena (2010-2011), the Rajamangala Stadium in Bangkok (2012) and Bushy Park Barbados (2014). Now the contest is returning to its European roots at the iconic home of the 2012 London Olympic and Paralympic Games.